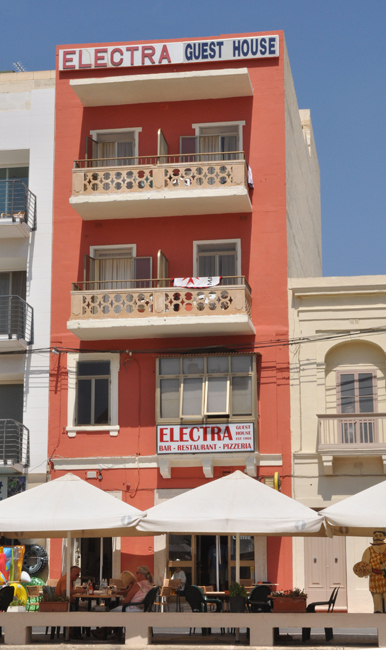 WELCOME to Electra Guest House. 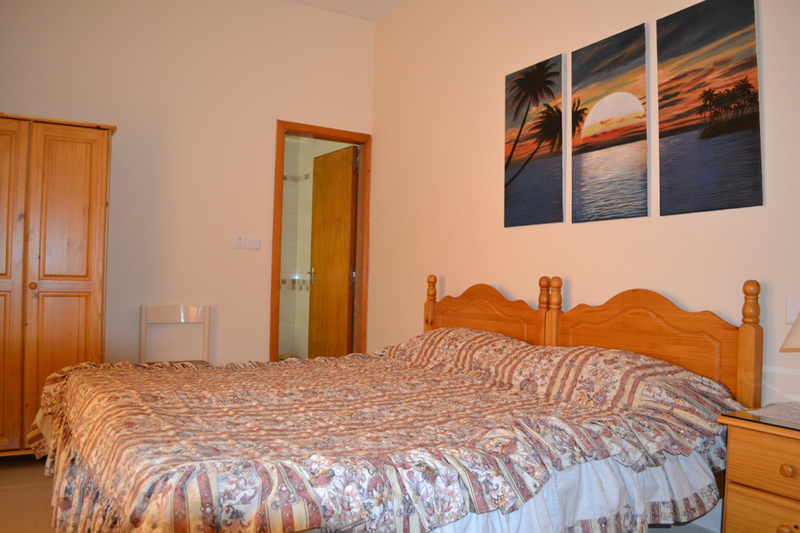 An affordable and recently refurbished Guest House in the very heart of Marsalforn Bay offering fantastic panoramic views at competitive prices without compromising on comfort, quality or service. 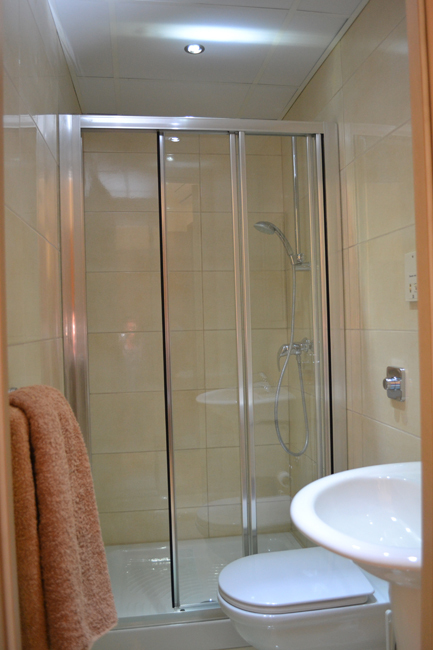 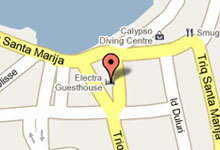 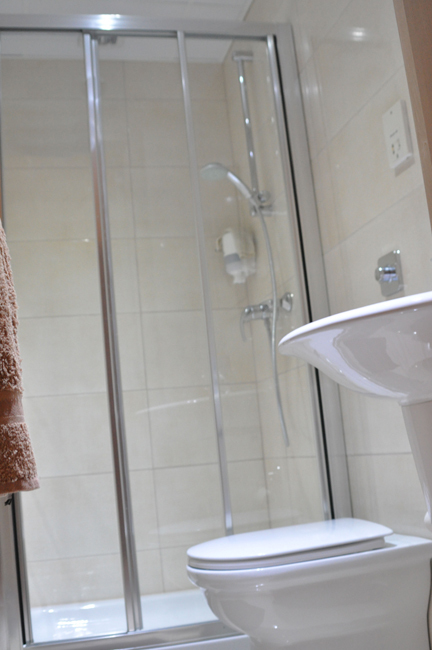 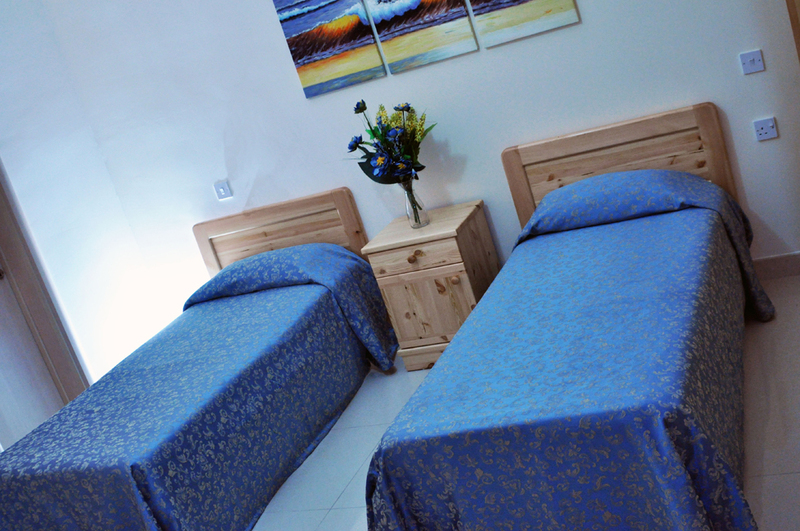 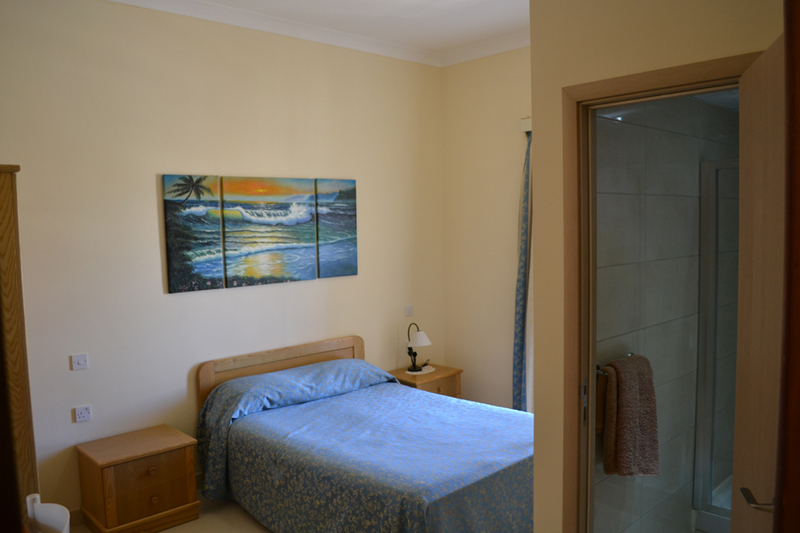 Electra Guest House is an ideal alternative to staying at the hotels in the area. 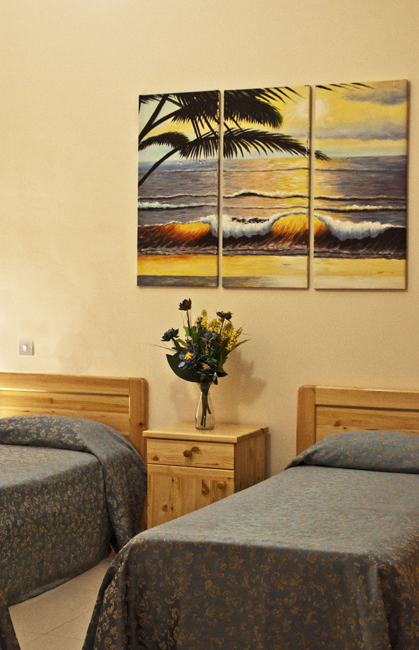 Meals besides breakfast are available including many of the services offered at hotels, such as airport transfers, wake up calls and laundry service. 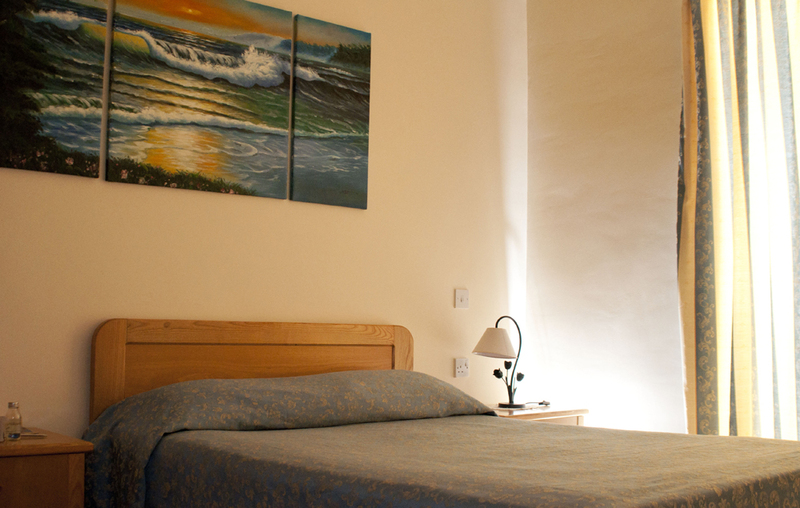 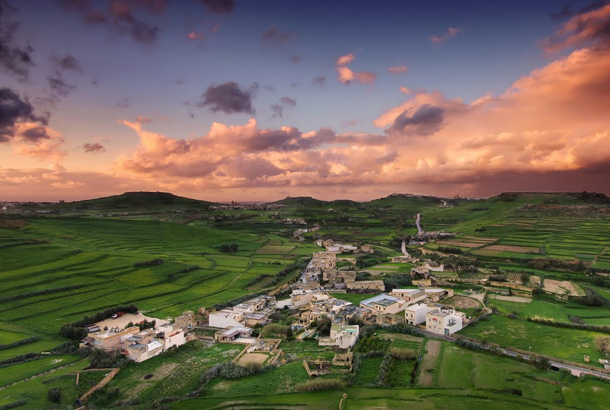 Our accommodation is located near the main bus stop, only 10 minutes away from the busting town of Victoria, making us an excellent base from which to explore Gozo. 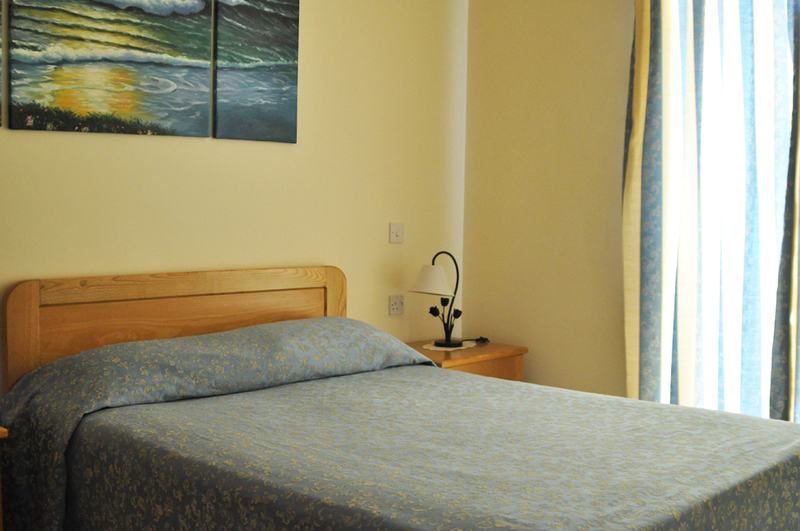 We are here to assist you with any queries or questions, and can also help you with many other facets of your stay, such as booking tours or tickets to shows and exhibitions. 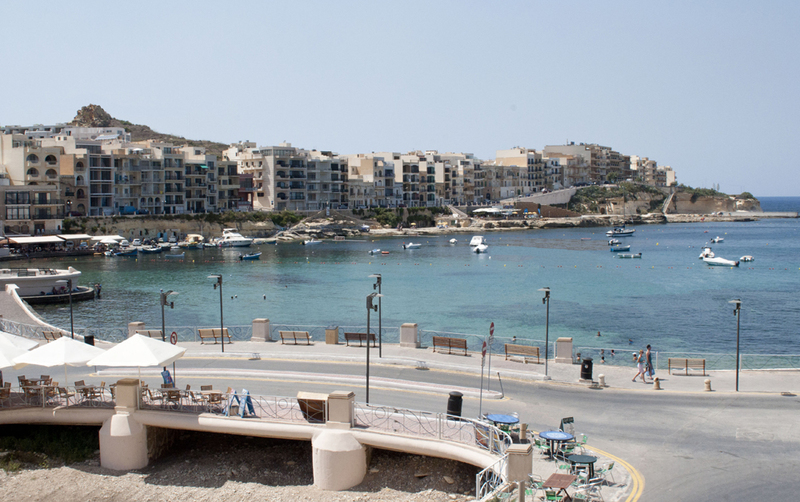 We serve delicious Maltese and European cuisine including our hugely popular Sunday Roast which is our specialty. 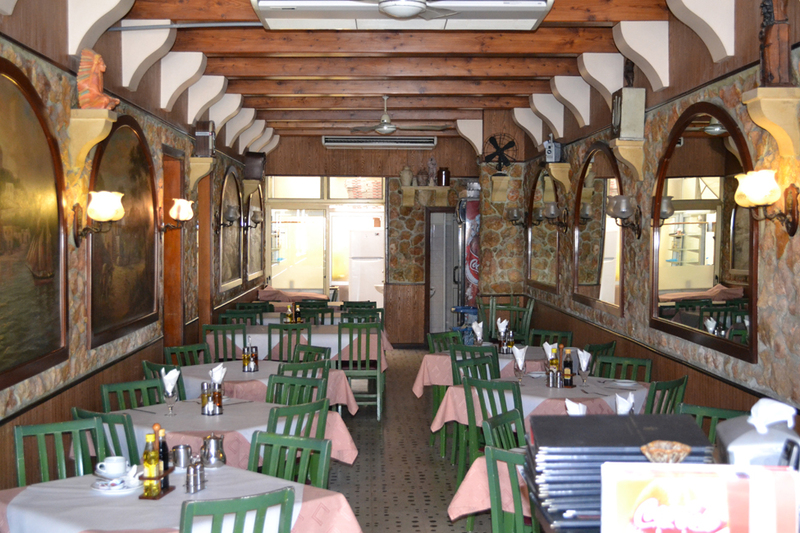 Our friendly and informative service, traditional decor and a vibrant atmosphere will make your dining experience one to remember. 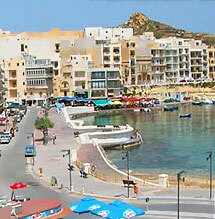 You can also enjoy dining al fresco basking in the atmosphere of Marsalforn Bay. 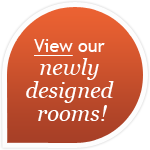 Be sure to check out our restaurant!